Before you know it Summer FUN will be here and best place to get your updates is from the FUNTopics Web Site, and you are there now. We are still accepting applications for Summer FUN so get them in early and while you are at it book your hotel rooms now before our block is sold out. The Rosen Plaza Hotel will be the closet hotel to the bourse floor this year. !! Official Hotel Information !! There is an error on that site and it indicates reservations for 2020. We are working to correct that	but the rest of the info is correct. If your club wants to get a bus FUN will reimburse you $25.00 per person up to $1,000. When you consider the time to drive and the traffic in Orlando along with parking and gas prices, this could be an excellent way to get your members to Summer FUN. There is a June 1st dead line for the application. We have extended invitations to the U.S. Mint and the, Piedmont Gold Panners to attend Summer FUN if they accept you will read here on FUNTopics. Additionally Sam Gelberd from the ANA will be working at the Coins & Kids booth and will provide the treasure triva game. Under the Summer FUN tab the link "Where is Hall WE 1" will provide a map of the Orange County Convention Center. This will tell you exactly how to get to our Convention Hall WE-1. Print it out and we will see you soon and as always we will be having shuttle bus service from the parking lot to the front door starting Thursday morning. There is still time to Exhibit for Summer FUN the deadline for the application is 1 June 2019. No prizes are awarded for Summer FUN, but you can practice your exhibiting skills. There is now a new category called One case exhibits anything numismatically goes. Your love of numismatics can be rewarding for you and educational to others. For more information on exhibiting at future FUN Shows contact Bob Russell. We have already posted the bourse application for FUN 2020. Now it is downloadable into MS Word so you can type it up and attach as an email to our Bourse Chairwoman Cindy Wibker. Just make sure she gets your payment in time. Also posted is a tentative Schedule of Events for FUN 2020. This was uploaded in March 2019 and is still subject to change. 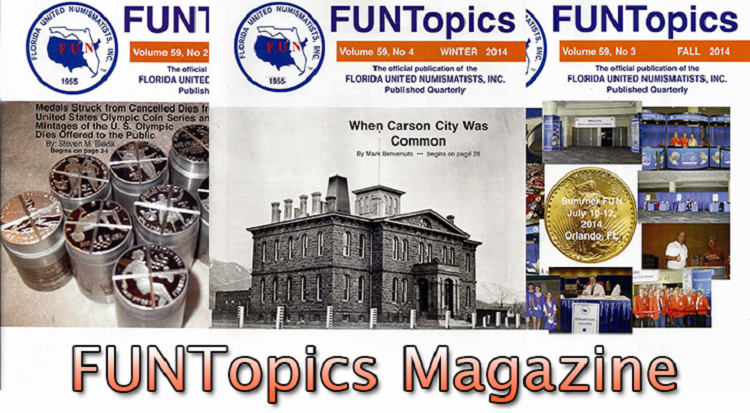 If you are not a member of FUN and are curious about our publication, go to the link in "What's New at FUN" and preview the FUN Topics publication. The 65th annual FUN Convention will be January 9 - 12, 2020 at the Orange County Convention Center. 9800 International Dr., Orlando FL 32819. 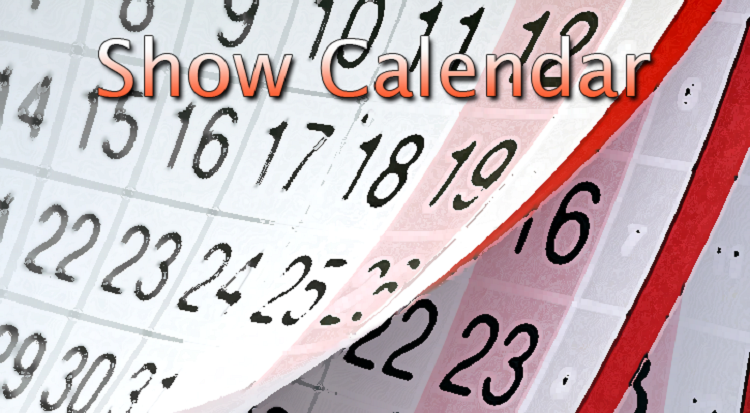 Dealer set-up is January 8th from 2:00-8:00 PM. Early Birds get in at 2:00 PM. Our General Chairman for FUN 2020 is Tony Bonaro and his theme is "Walking With Libery 1793 - 2020". Our lapel pins have already been produced and may be available for some local shows after the Spring Board meeting in April. 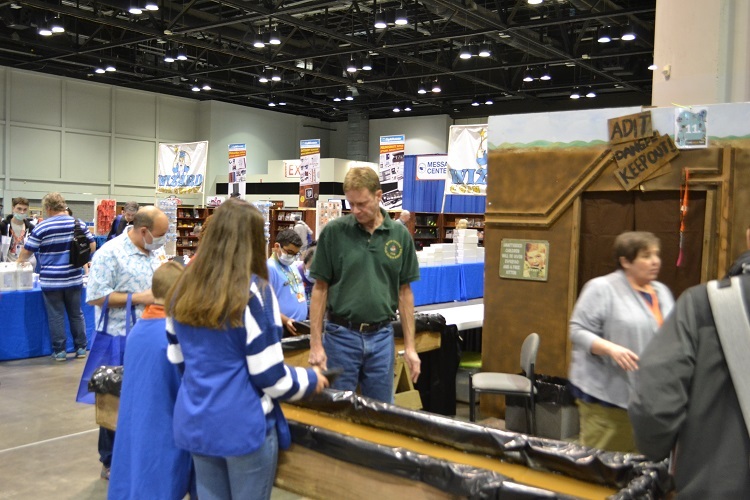 The show will feature over 600 dealer booths, a competitive exhibit area, 15 educational programs, Kids booth, the Young Numismatists; Scout Merit Badge programs, FUN Coin Club Get Together, the Heritage Auction, and so much more. Admission to the show is FREE to the public! However, show attendees must first stop by the public registration booths and pick up their “HELLO” badge before entering the bourse floor. Dealers & Early Bird dealers should pay their $20 FUN dues by mail and avoid the lines. See you in January For the 65th Annual FUN Convention! Check out the rest of our site to find out more and get involved with FUN! © Florida United Numismatists, Inc.